Beaucoup Fit Personal Training and Performance Enhancement: Healthy Soda Alternative! Easy to make and tastes good! 2 Ingredients! Healthy Soda Alternative! Easy to make and tastes good! 2 Ingredients! Time and time again, I here the same thing. People tell me, "I hate drinking water, water is nasty!" Then I ask them if they drink sodas, and they tell me yes. Some people tell me, that's all they drink. Sodas are high in Calories. 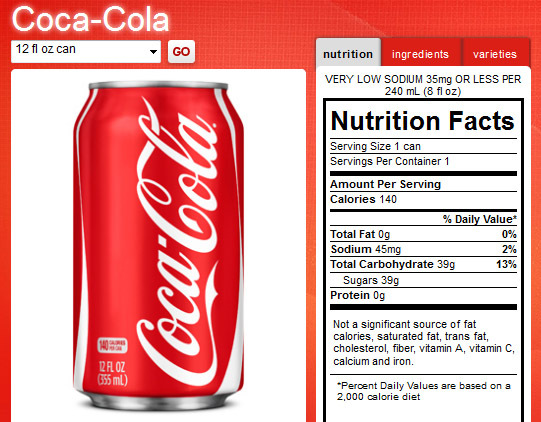 For my example, we'll use a 12 oz can of Coca-cola. 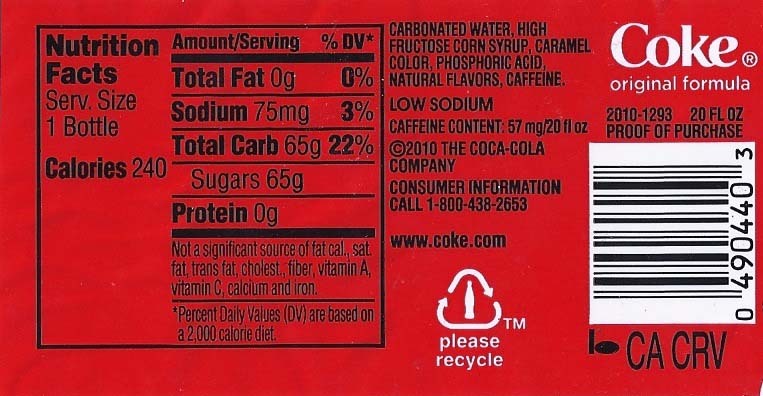 We are talking 140 calories, of which 39grams of that is straight high fructose corn syrup which is high on the glycemic index and bad for your body in general http://www.naturalnews.com/024466_corn_health_HFCS.html . On a 20oz bottle which some of you probably drink in one sitting. 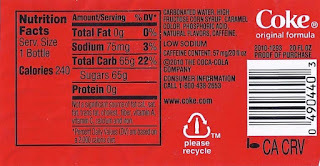 Check out the ingredient list. Now let's contrast that with my alternative. *I know there is some debate about whether agave nectar is healthy or not. If you choose to avoid it, you can substitute with STEVIA, HONEY, MAPLE SYRUP, and/or DATE SYRUP. Be creative, with your recipes! I've seen one with a little lemon juice, and strawberries blended together with sparkling water to make a delicious pink lemonade concoction.